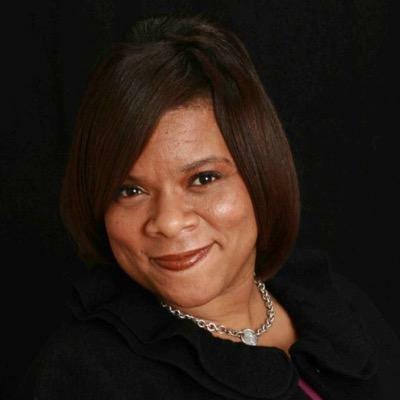 Alesia Latson has been studying and practicing leadership and organizational development for more than 20 years. She has held management and organizational development roles in large financial services organizations, healthcare, and government. Through expert facilitation and personal coaching, Ms. Latson has worked with hundreds of leaders at all levels to expand their management and leadership effectiveness. Ms. Latson is well known for her exceptional skills as a facilitator and coach. Her client list includes: EMC, Fidelity Investments, McDonald’s, General Electric, Teradyne, Bright Horizons, Marriott, Pfizer and Blue Cross Blue Shield. Ms. Latson holds a master’s degree in Training and Development from Lesley University and a bachelor’s degree in psychology from the University of Illinois. She is a former adjunct faculty member of Lesley University and Bentley College, and a regular guest speaker at Babson Executive Education, MIT Sloan School of Business and the University of Michigan’s Ross Business School. She is also co-author of the book More Time for You — A Powerful System for Organizing Your Work and Get Things Done. Barbara Logan-Smith, is the Trainer and Consultant for the Efficacy Institute, a Massachusetts-based not-for-profit training and consulting organization committed to developing all children to high standards, especially children of color and the economically disadvantaged. She brings more than 17 years of dedication and education experience ranging from classroom to administration at the K-8 school level, as well as professional development and execution support services for teachers, principals and superintendents. Ms. Logan-Smith has served children of the Milwaukee Public Schools District in roles of classroom teacher, technology teacher and implementer of school programs. During that time, she became acquainted with the work of The Efficacy Institute, where she acquired certification as an Efficacy Practitioner for Milwaukee Public School District. Prior to joining the Efficacy Institute, Ms. Logan-Smith served as assistant principal. As a certified trainer in areas of Efficacy, Compass Technology, Target Teach and Koalaty Kid, American Society for Quality’s Educational Division, Ms. Logan has facilitated professional development with educators across the country in seminars and conference settings. She holds a Master of Education degree in Curriculum and Instruction from University of Wisconsin in Milwaukee and bachelor degrees in Education and Psychology from Lakeland College in Sheboygan, Wisc. Dr. Beverly Edgehill is a veteran leadership and executive development professional with more than 25 years of experience working in Fortune 500 companies. As President and CEO of The Partnership, a non-profit leadership development and career mentoring organization, Beverly’s focus is on developing leaders for increased impact and guiding them in their transition to executive level positions. She also convenes CEOs and executive teams to identify actions they can take to groom high potential individuals for future leadership roles. Dr. Edgehill is also a regional selection panelist for The White House Fellows program and is featured in a Harvard Business School case study highlighting her transition into the role as President and CEO of The Partnership, Inc.
Dr. Edgehill received her doctorate in Adult and Organizational Learning from Columbia University’s Teachers College. Her research interest is on how professional businesswomen learn to have career success. A ssistant Professor Bidhan (“Bobby”) Parmar teaches First Year Ethics and a Second Year elective on collaboration at the Darden School of Business. Parmar’s research interests focus on how managers make decisions and collaborate in uncertain and changing environments to create value for stakeholders. His work helps executives better handle ambiguity in their decision making. His recent research examines the impact of authority on moral decision making in organizations. Parmar’s work has been published in Organization Science and the Journal of Business Ethics. Dr. Parmar is a fellow at the Business Roundtable Institute for Corporate Ethics and the Olsson Center for Applied Ethics. Prior to teaching at Darden, Dr. Parmar taught at the U. Va. McIntire School of Commerce. Parmar lives in Charlottesville with his wife and two daughters. 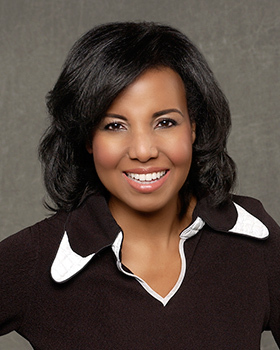 Cheryl Jones is the President of Jones & Associates, Inc., which focuses on providing individuals and organizations with strategies and solutions to bring out their best performance and affect positive change. Ms. Jones started the company to live her passion for teaching and inspiring others to become leaders who can transform corporate America into a business environment where employees of all diverse backgrounds can experience extraordinary success. Her areas of expertise include: leadership; culture; complex systems; change management; recruitment; diversity and inclusion. She is an outstanding trainer who creates excitement, involvement and commitment among her participants. Ms. Jones has been a staff trainer for NCCJ Dismantling Racism (Any town Youth and Leaders Programs) and the Focus St. Louis Leadership Program. She has customized many programs for clients such as Frito-Lay, Ralston Purina, Citigroup, Sara Lee, Nestle Purina, Pepsi Americas, Tyco, Healthcare, AT&T, Anheuser-Busch and NASA. As a former senior sales/training executive, Ms. Jones was responsible for a number of leadership and sales management training programs. She played an integral role in developing a talent management and training program for leaders at Bristol-Myers Squibb. Ms. Jones is a seasoned professional with experience in project management, sales/sales management, executive coaching and training. She is a graduate of Howard University and has completed Executive Programs from Tuck School of Business at Dartmouth. 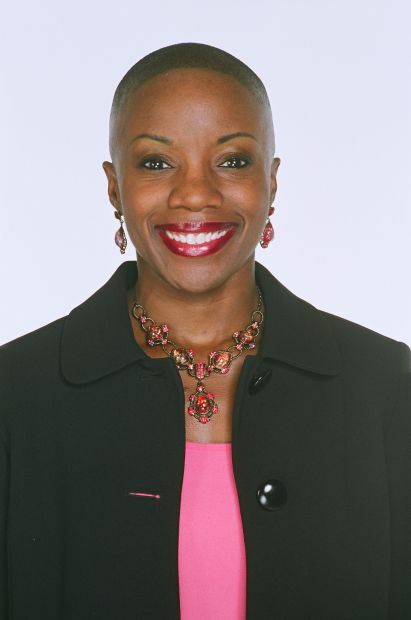 She is a member of the International Coaching Federation, National Speakers Association and National Black MBA. country. His executive coaching clients have consistently reported more than 200% growth in performance, competency, leadership metrics. Chris is passionate about core values, ethics, and music (former professional DJ). By the end of this workshop, Chris’ reflective coaching style will provide sustainable connections between theory and practice though powerful questions that stretch your thinking! Lethia Owens is the founder and CEO of a successful personal and organizational development firm called Next Level Branding & Marketing. She has served organizations across the country for more than 15 years, working with them to create great leaders and engaged followers who are empowered to deliver increased performance and profits. As a certified corporate coach, information-technology expert and business authority, she is one of a prestigious group of women who have made it to the top. Ms. Owens uses her radio program, online TV show, high value content, dynamic keynote presentations and engaging training programs to show others that they too can achieve extraordinary things with the right skills and attitude. As a professional speaker, she has dedicated her life to energizing business professionals around the world by guiding them to higher levels of performance. Through the use of real-life stories and common sense strategies, she awakens the potential in audiences to think, work and live powerfully. Ms. Owens holds a master’s degree in Managerial Leadership from National Louis University and a bachelor’s degree in Computer Science from Albany State University. She is a Dale Carnegie Institute certified trainer and has earned the organization’s highest achievement award. Among Ms. Owens many professional affiliations, she is a member of the International Coaching Federation, International Federation of Professional Speakers, The National Association of Female Executives, American Society for Training and Development, Project Management Institute, and is a National African-American Women’s Leadership Institute Fellow. Dr. Hager is currently teaching college-level mathematics for the St. Louis Community College District. She is also conducting research around adult learning and its impact on one’s career. Prior to joining Psychological Associates, Pam directed her own training and development firm, Imaginative Concepts, for 10 years. She has also been a staff member at ED S (McDonnell Douglas Systems Integration Company); ID S Financial Services; and College of the Sequoias, Visalia, CA. Dr. Hager has substantial experience in facilitation, performance consulting, and courseware design and development. For Psychological Associates, she teaches LEADERSHIP THROUGH PEOPLE SKILLS®, COACHING SKILLS™, DIMENSIONAL® COLLABORACTION, DIMENSIONAL® PERFORMANCE MANAGEMENT™, DIMENSIONAL® SELLING™, NEGOTIATING SKILLS, and TEAM BUILDING to a broad range of corporations, government agencies, and educational institutions throughout the United States. Pam has published a number of articles, including: “Is Your Leadership M.O. Setting You Up for a Career D.O.A. ?”, “Strategic Planning and IT Portfolio Management”, “Problem Solving”, “Rightsizing for Client/Server Success”, “Continuous Process Improvement: Instilling Quality into the Development Process”, “Implementing New Development Technology”, and “The Silver Bullet Misses the Mark: Why Methodologies and Case Tools Fail and How to Avoid the Pitfalls”. Rebeccah Bennett is Senior Consultant for Public Policy, Planning and Organizational Development at Vector Communications Corporation, where she has spent the last ten years bringing citizens and stakeholders together to discuss and resolve public policy issues. She has worked with government, non-profit and philanthropic organizations to improve the quality of life through advancements in community and economic development, human service provision, health care delivery, urban education reform, environmental remediation and transportation planning. At Vector, Ms. Bennett devises and manages numerous agenda-setting and decision-making processes designed to heighten community awareness, ensure meaningful community participation, and generate informed consent. She is also responsible for developing training and intelligence products around the company’s core competencies, including workshop offerings in the areas of strategic planning, public engagement and communications. In addition to her work at Vector, Ms. Bennett is founder and principal of Emerging Wisdom LLC, an organization committed to inspiring greatness, facilitating growth and advancing human potential, where she supports individuals, groups, organizations and communities in building the capacities they need to initiate and sustain positive change. Ms. Bennett is a member of the International Association of Facilitators and the International Association of Public Participation. She holds a master’s degree in Public Policy from the University of Michigan School of Public Policy and a bachelor’s degree in Political Science from Swarthmore College. In addition to her professional activities, Ms. Bennett serves as a mentor to local college, high school and elementary school students through both Mentor St. Louis and Boys Hope Girls Hope of St. Louis. She also serves on the board of directors of several regional non-profit organizations including the Professional Organization of Women, Boys Hope Girls Hope and Youth In Need. Reginald Butler is the Founder and CEO of Performance Paradigm LLC. He is a dynamic motivational speaker, facilitator and training designer with expertise in the areas of conflict resolution, diversity awareness and skills, multicultural recruiting, organizational change management, thinking and personality styles. He developed a guide to presentation skills for consultants, trainers and facilitators. As a past faculty member at Miami University, Oxford, Mr. Butler instructed the Teaching IDS (Interdisciplinary Studies) course titled “Strength Through Cultural Diversity: Functioning Effectively in a Global Society.” He has also utilized his background in theater and communication to do voice over work for radio, television and educational software companies. Mr. Butler graduated from Washington University in St. Louis with a dual degrees in Theater and Music. He has completed graduate work in Mass Communication at Southern Illinois University and holds a master’s degree in Educational Administration from Xavier University in Cincinnati.